Astronomy is the branch of science that studies outer space focusing on celestial bodies such as stars, comets, planets, and galaxies. Perhaps one of the oldest sciences, we have record of people studying astronomy as far back as Ancient Mesopotamia. Later civilizations such as the Greeks, Romans, and Mayans also studied astronomy. However, all of these early scientists had to observe space with just their eyes. There was only so much they could see. With the invention of the telescope in the early 1600s, scientists were able to see much further objects as well as get a better view of closer objects like the moon and the planets. 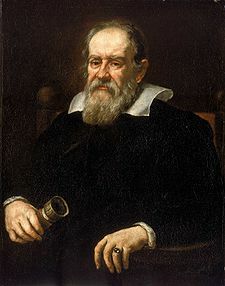 Galileo Galilei made major improvements to the telescope allowing close observations of the planets. He made many discoveries including the 4 major satellites of Jupiter (the Galilean moons) and sunspots. Johannes Kepler was a famous astronomer and mathematician who came up with the planetary laws of motion that described how the planets orbit the sun. Isaac Newton explained the physics behind the solar system using his laws of celestial dynamics and gravitation. In the 20th century we are still making major discoveries in astronomy. These discoveries include the existence of galaxies, black holes, neutron stars, quasars, and more. Observational Astronomy - this is what we often think of with astronomy; observing the celestial objects of outer space such as stars and planets. There are actually types of observational astronomy that are divided up by how the objects are observed. 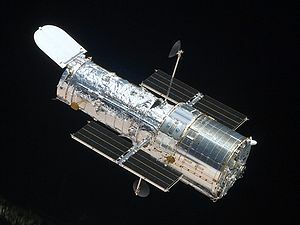 These include everything from basic light (using our eyes to observe), radio, infrared, X-ray, Gamma Ray, and ultraviolet observations (using complex high-tech equipment). Theoretical Astronomy - in this area of astronomy scientists use mathematical models to better describe what is observed and even to describe events we cannot observe with our current technology. Solar Astronomy - these scientists focus on the sun. This can be an important field of science as sun activity can have a major impact on the Earth. 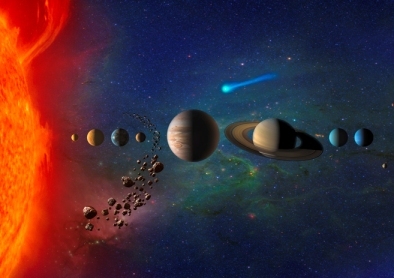 Planetary Astronomy - an area of science focused on learning more about planets, moons, asteroids, and comets. From this we can learn how planets and other objects were formed and what they are made of. Stellar Astronomy - the study of stars including how they are formed, what they are made of, and their life cycle. This includes various types of stars and their final state including interesting objects like red giants, black holes, supernovas, and neutron stars.